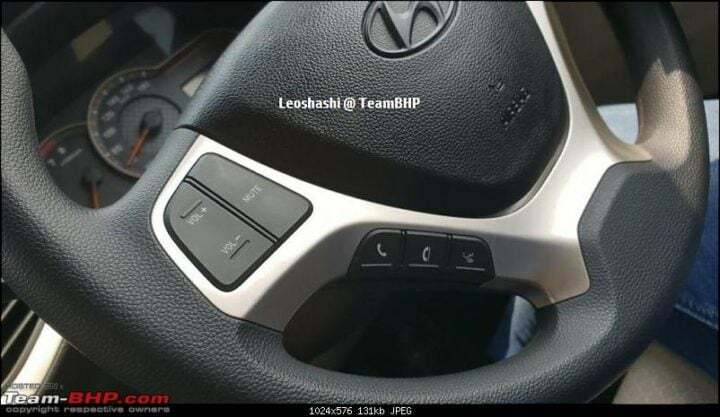 2018 Hyundai Santro interiors images and prices leaked! 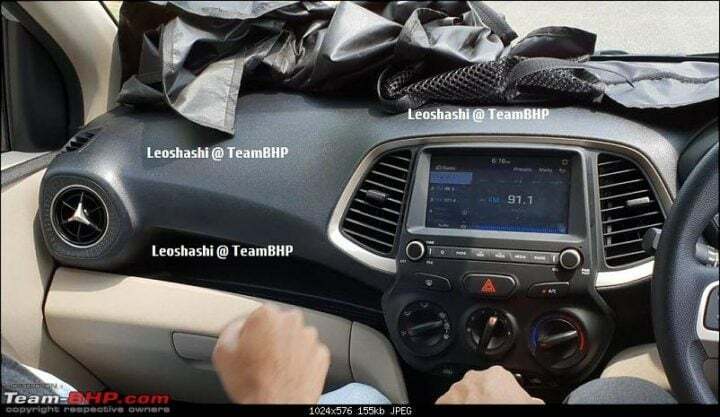 2018 Hyundai Santro interior images and prices leaked! The 2018 Hyundai Santro is going to launch in India on the 23rd of October 2018. Ahead of the debut, its interiors images and prices have been leaked. The 2018 Hyundai Santro is going to make its official debut in India in about a week’s time. The third generation iteration of this compact hatchback comes to India in an all-new avatar. Ahead of its official launch on October 23rd, images of its interiors along with what seems to be the official price list have leaked on the internet. 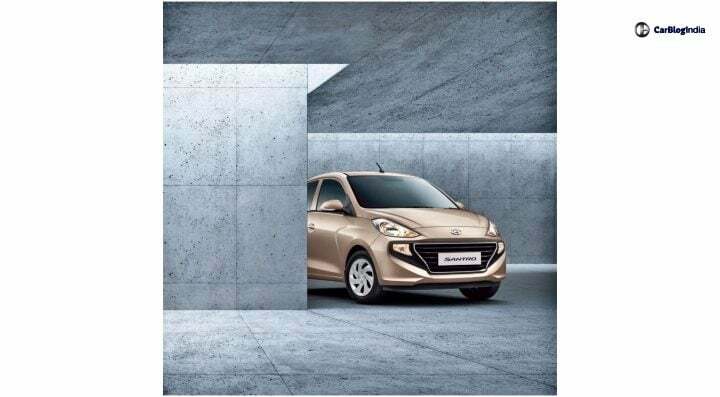 First, let’s talk about the prices of the 2018 Hyundai Santro (Read More). According to the leaked information, the prices of this hatchback will fall in the range of INR 3.87 lakhs to INR 5.29 lakhs. 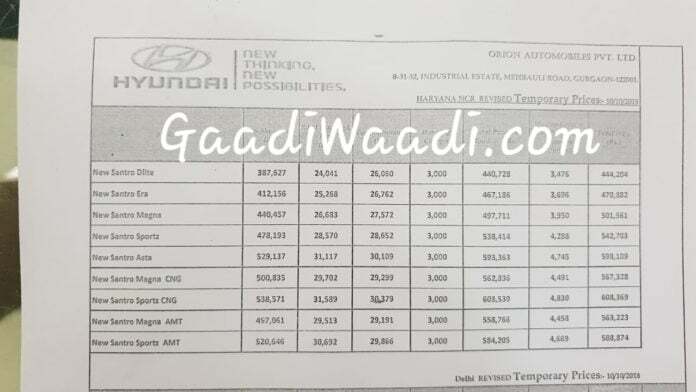 If this information turns out to be true, it would mean that Hyundai has indeed priced the new Santro quite competitively. With this, the 2018 Santro is going to stand right in the middle of the highly lucrative compact hatchback segment in India. Furthermore, the 2018 Hyundai Santro will go on sale in India in a total of 5 variants. These include the D-lite, Era, Magna, Sportz and Asta. The AMt gearbox will be available only on the Magna and Sportz trims. And so is the factory fitted CNG kit. Now, let’s talk about the interiors of the 2018 Hyundai Santro. This hatchback is going to get a dual-tone colour scheme of black and beige. This will add a touch of up-market feel, as is the case with all Hyundai cars. To liven up the cabin, Hyundai has also thrown in various silver highlights across various elements. You can find them on the air-con vents, around the centre console and on the steering wheel. The variant captured in these spy images is the top-end Asta trim of the new Santro. Hence, it comes with features like a 7-inch touchscreen infotainment system, steering mounted audio controls and electric power windows. However, it does miss out on automatic climate control. That said, as standard, the 2018 Hyundai Santro will get driver’s side airbag along with ABS and EBD. Top-end trims will feature passenger airbags as well. By design, the dashboard of the 2018 Santro feels very up-market. Not in any manner, through aesthetics alone, can you pinpoint that it belongs to an entry-level hatchback. 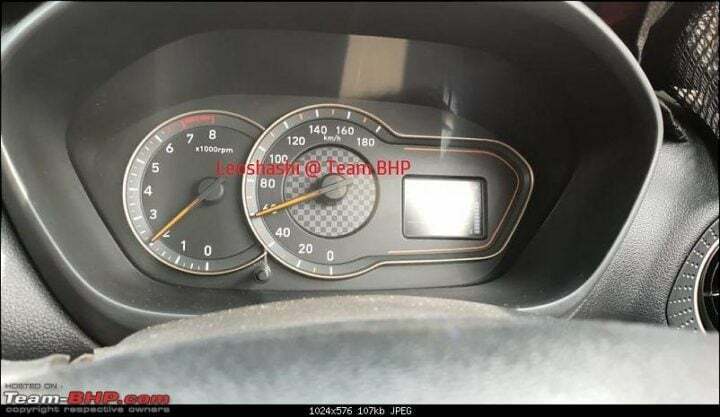 Moving on, the instrument cluster also features a contemporary look. It comes with two dials, one is the rev-counter while the other is the speedometer. Also tucked towards the right side of the Speedometer is a smart MID. It will display the fuel gauge and temperature gauge along with the odometer reading. Rest of the specifics related to the interiors of the Santro will be revealed on the day of its launch. However, we already have the information regarding the engine specifications of this hatchback. The 2018 Santro is going to come with Hyundai’s tried and tested 1.1-litre petrol engine. This 4-cylinder unit is going to churn out 67 BHP of power. As standard, it is going to come in all variants with a 5-speed manual gearbox. However, there will be a 5-speed AMT gearbox also on offer. Hyundai states that in both the manual as well as the automatic guise, the Santro will offer 20.3 km/l.